← Ugly Little Yellow Chair – Will Someone Love It? 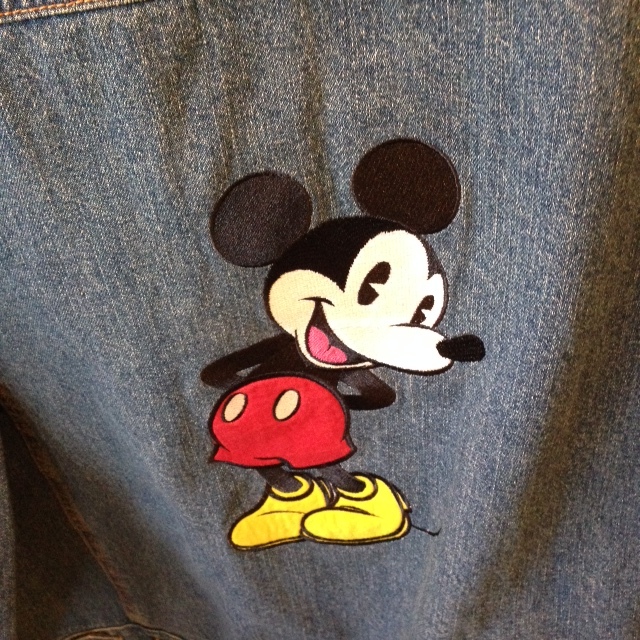 MICKEY MOUSE! 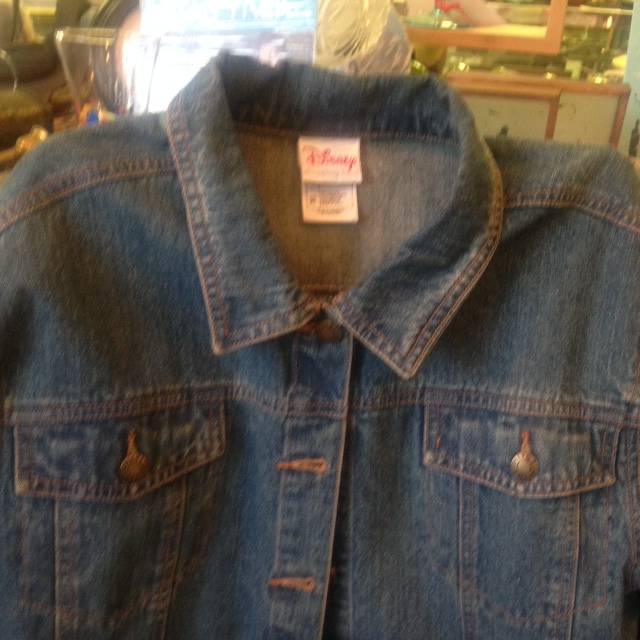 This is a great denim jacket in excellent condition. 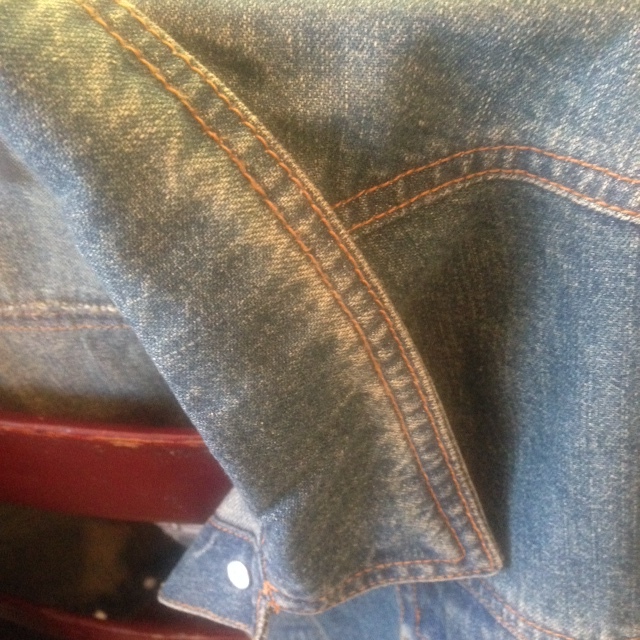 The pictures don’t do it justice and make it seem worn although it isn’t. 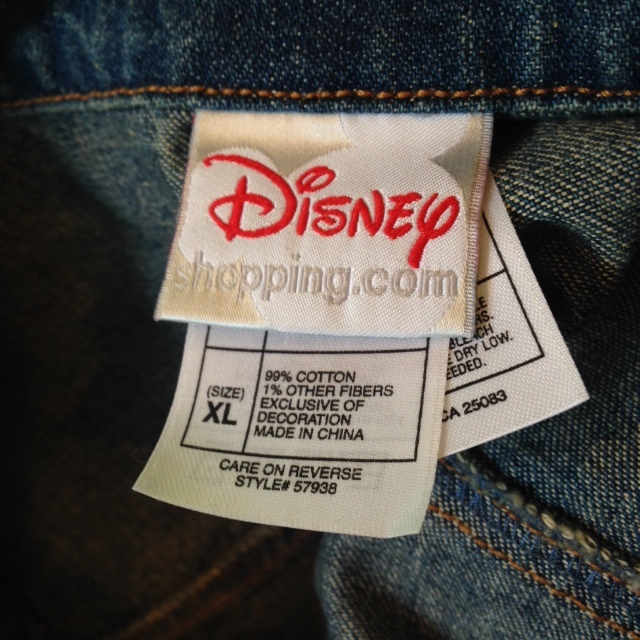 Women’s size XL. Probably runs a bit small. 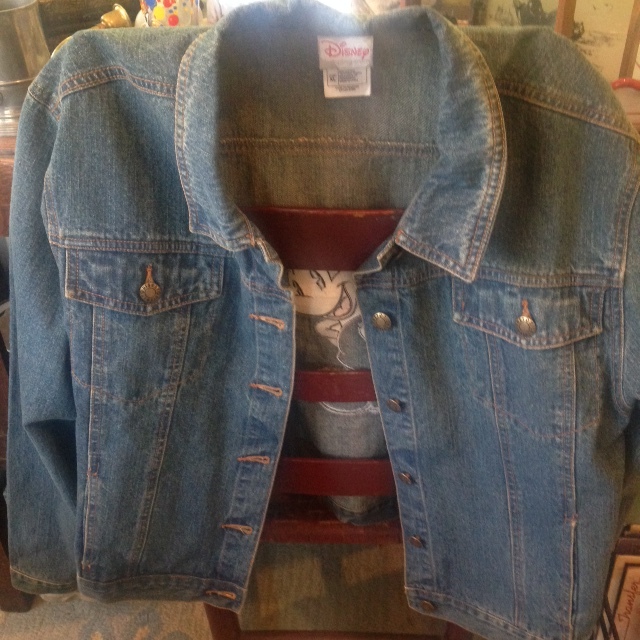 Price: Was $18.00; now just $12.00. 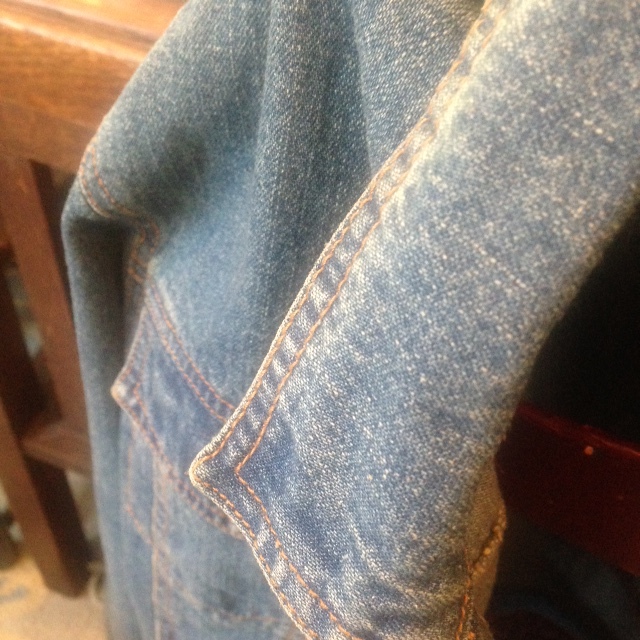 Maine State Sales Tax applies. 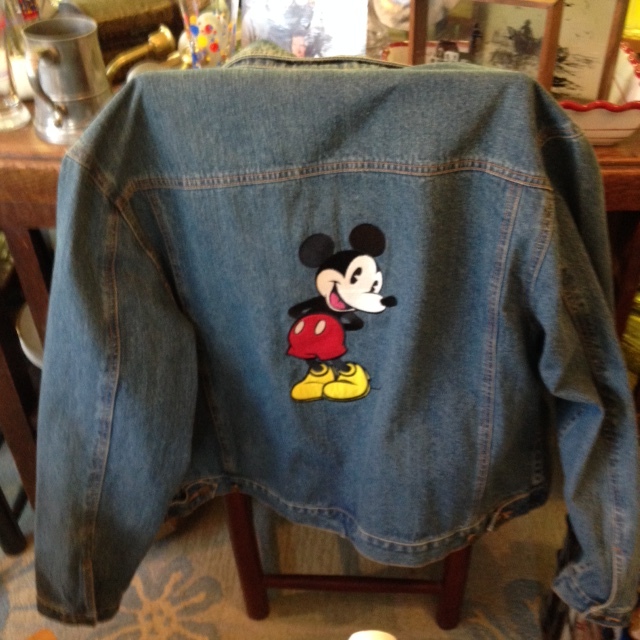 This entry was posted in Advertising & Iconic Pieces, Disney and tagged denim jacket, Disney, Disney jacket, Mickey, Mickey Mouse, Mickey Mouse Jacket. Bookmark the permalink.